(Maryland) Community College (JUCO). See press release. August, 2012: US Lacrosse Magazine highlights Loveland Lacrosse Club in "Zip It 45140". 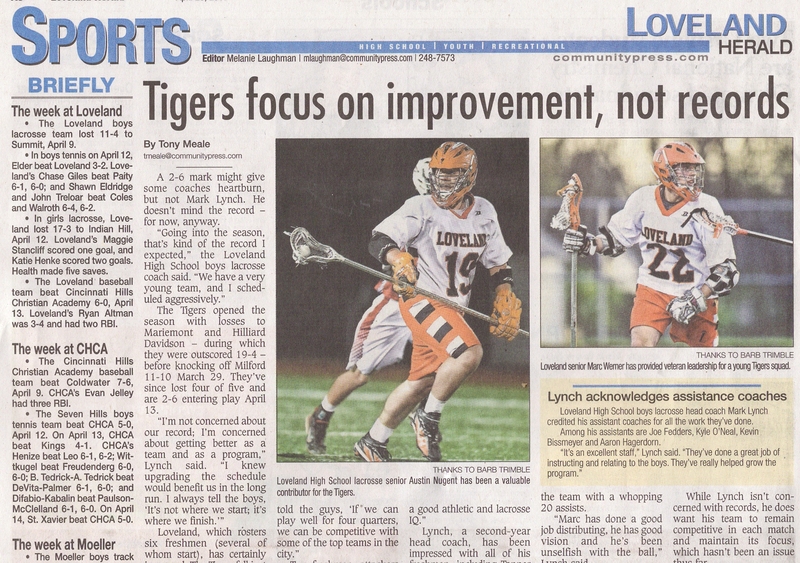 July, 2012: Loveland Magazine publishes article on the dedication of the Loveland Box Lacrosse Arena, click here to read. 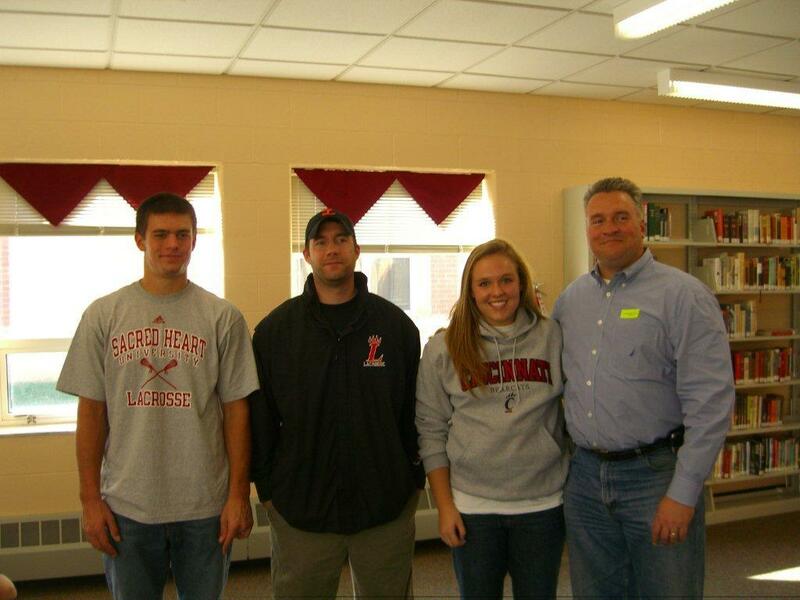 May, 2012: 2010 LHS Grad Andrew Newbold named to the NEC All-Conference Team. See press release. Loveland, OH — Loveland High School senior lacrosse standout Kody Griffin decided to change direction as a high school sophomore, picking up a longpole and switching to defense. It has worked out well for Kody as the senior defenseman for the Division I Tigers recently committed to the play for Coach P.J. Kavanagh at the University of Mt. Union (NCAA DIII) in Ohio. Like all our alumni, Matt's a product of our system and we are proud of him. 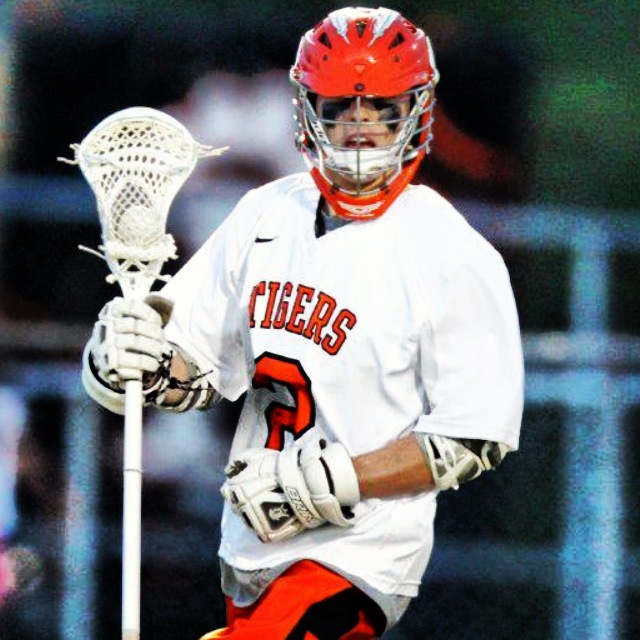 As a HS player, he was an outstanding representation of the tradition that is Loveland Boys HS Lacrosse. As a college player, he's continued to make a name for himself to the point that he's been nominated as POY for 2011-12. 23 May, 2011: The 2011 MCLA Div II College Lacrosse All-American selections have been made. Loveland HS Lacrosse alum Matt Dowd ('08) is a 1st team All-American selection at close defense from the University of Dayton. Matt was a standout player here at Loveland HS, helping lead the Tigers to the Div II State Championship game in 2008. Matt was one of many fine players on a boys lacrosse team that, in its first year as a varsity sport, came VERY close to bringing Loveland High its first ever state championship in a team sport. Loveland HS Team on News 5: "Loveland, Mason Lacrosse Teams Support Troops" (May 4, 2011) Click here for video. Dan Utt, MS Girls Program Leader of the Southern Ohio Lacrosse Chapter, is highlighted in the article "Would-Be Queens? Cincy Team Aims for U15 Title" in the April issue of LaxMagazine. Click here to read about him leading the Cincinnati girls on the road to the US Lacrosse U15 National Championships. Head Coach) on National Letter of Intent Signing Day.